You’ve heard the dire warnings of The Weather Makers and An Inconvenient Truth – now, in The Geography of Hope, read how people all over the world are already combating climate change. Award-winning journalist and bestselling author Chris Turner breathes new life into hope for our planet’s future on a global adventure through the state-of-the-art in sustainable living, a patchwork map of the solutions to potentially catastrophic climate change already available, and an argument for a new environmentalism built on exuberance in place of fear. 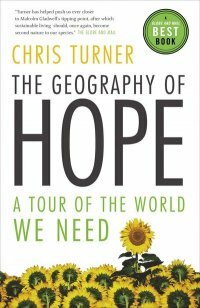 I read The Geography of Hope last year, and found it inspirational. Click here for more. 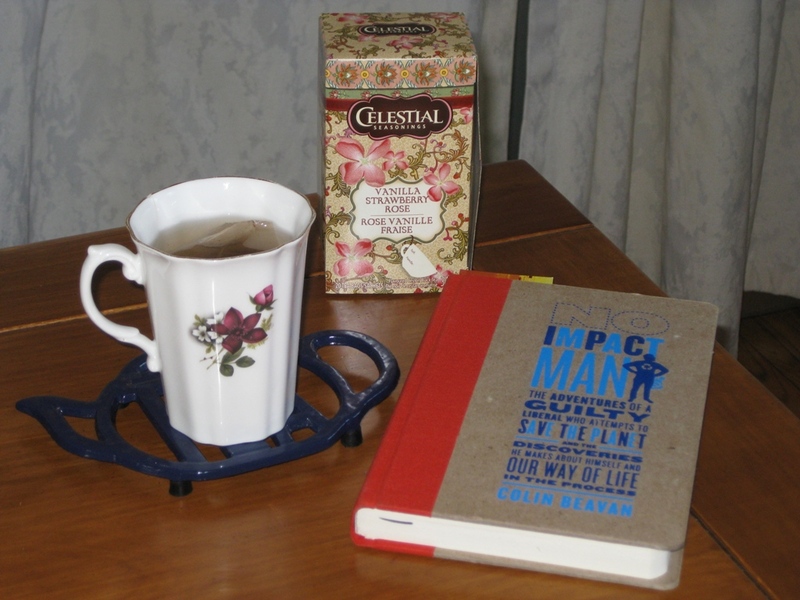 No Impact Man: The Adventures of a Guilty Liberal Who Attempts to Save the Planet and the Discoveries He Makes About Himself and Our Way of Life in the Process by Colin Beavan. In the final chapter Mr. Gore offers two versions of a letter from our generation to the next. The first one explains what we did right and why it worked to avert a climate-change disaster. The other attempts to explain why we did not act, in the face of undeniable evidence that we must. This, Mr. Gore reminds us, in the choice we are faced with. Click here to go to the Our Choice website. This is the quote that opens Gwynne Dyer’s book, Climate Wars. Mr Dyer is a London-based independent Canadian journalist, syndicated columnist and military historian. In 2010 he received the Order of Canada. Climate Wars takes a look at the world faces in the coming decades, because of the (to date) grossly inadequate response of most governments to the threat that climate change poses. Some of the expected consequences of runaway climate change in the decades ahead are dwindling resources, massive population shifts, natural disasters, spreading epidemics, drought, rising sea levels, plummeting agricultural yields, devastated economies, and political extremism. Any one of these could tip the world towards conflict. 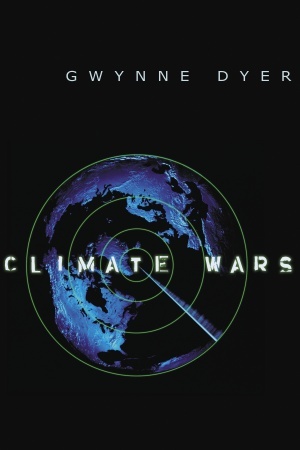 Mr. Dyer points out that the military forces of both the United States and Britain have taken this threat seriously for years, although under George W. Bush’s presidency, it was dangerous to one’s career to be seen treating climate change as a real and serious phenomenon. Climate Wars was a difficult read for me, because it paints a very unpleasant picture of the future if we continue down the path we are on, and my children are going to be part of that future. However, this is the kind of well-documented truth-telling that needs to be heard these days, so I recommend it. More links: Gwynne Dyer’s home page, and Climate Wars on Random House.ca. Also, the book is discussed on the blog Climate Insight in some detail – click here to read that discussion. Very helpful pages again, Alan. I’m going to refer to your politics page in the future, it looks like it has excellent links. Thanks for sharing your list – and for the reminder to update mine! Anything by Michael Pollan is well worth a read, and same for Paul Hawken and Bill McKibben. I haven’t yet read “The Leap” but Chris Turner is definitely one of my favourite Canadian authors on the coming paradigm shift. A number of the books on your list I’m not familiar with – David Montgomery’s “Dirt” (although I have Vandana Shiva’s “Soil Not Oil” sitting in my must-read pile beside my bed), as well as Taras Grescoe. Now I just need a few more hours in my day (which I could gain by turning off my computer more regularly! ).